Choose a kitchen dresser unit - including glazed dressers and tambour units - to put the finishing touches to your special kitchen. 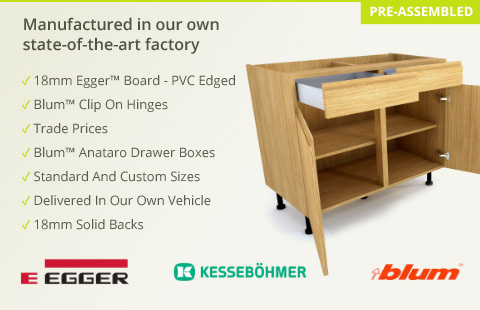 Our dresser units are available in standard or custom sizes, and a variety of types; from corner units for those tricky-to-fill spaces to large units with or without drawers. All of our kitchen units are manufactured in the UK and delivered to you pre-assembled.